Our solicitors are experienced business people in their own right and will apply their commercial acumen and legal expertise for your benefit. From drafting legal documents to moving to a new home or business premises, facing a family crisis or preparing your Will, we are receptive to your needs and the stresses that often accompany legal matters. We will be ready to provide sound advice and practical, cost effective solutions to a wide range of personal and family problems. Once we have acted for you, we hope you will regard us as your family solicitors and talk to us whenever you are planning important changes in your life. Buying and Selling/Leasing homes. 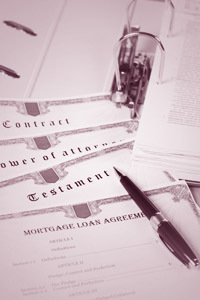 Tenancy Agreements. For this law firm "human values determine commercial values" so you, the client, are our most valued commodity, our aim being to work in partnership with you.